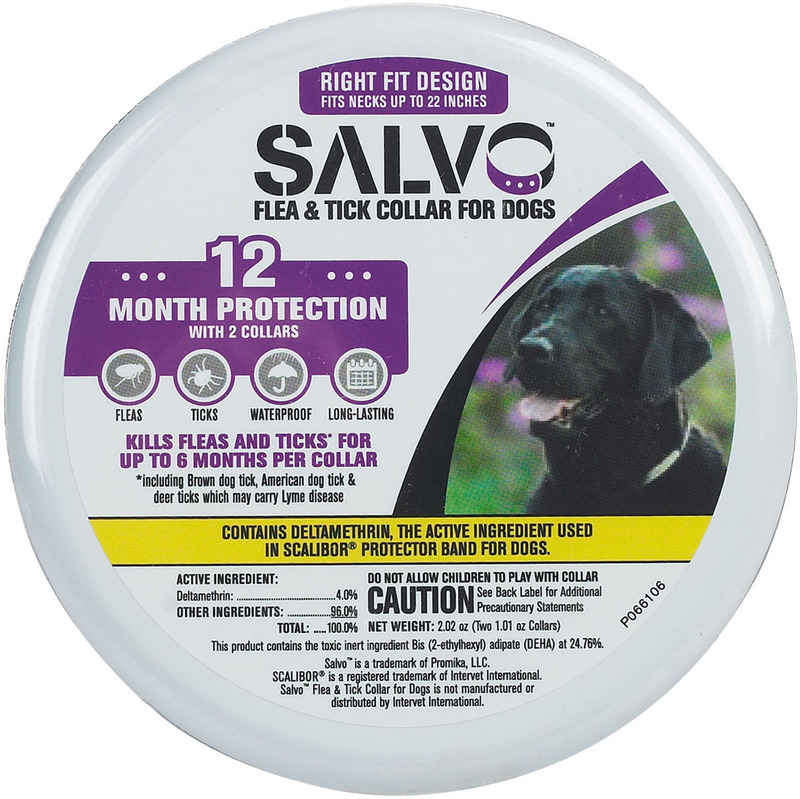 Each Salvo collar will control fleas and ticks for up to six months. 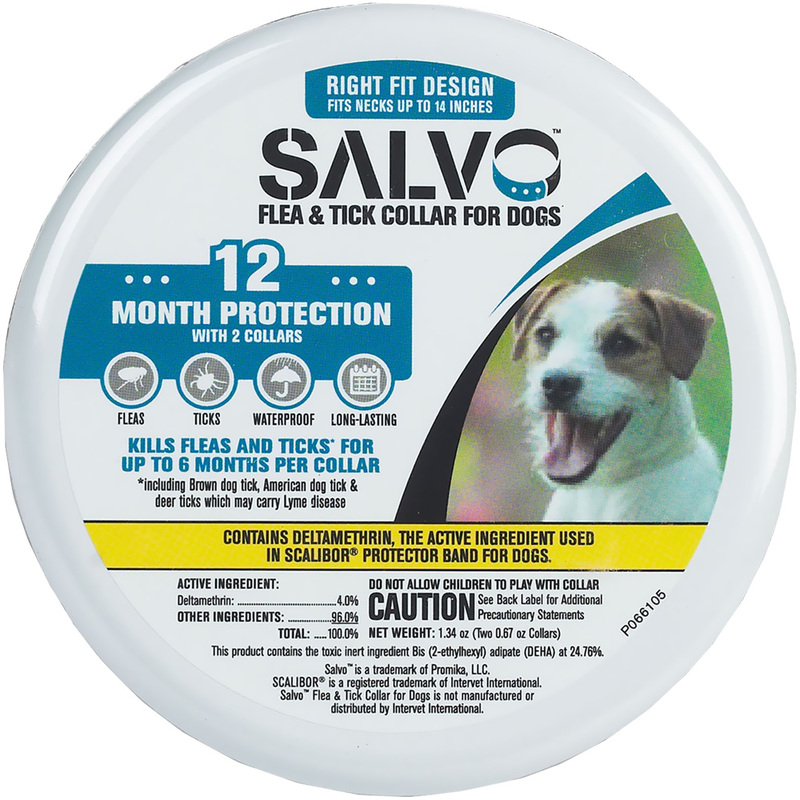 The package contains two collars for 12-months of protection. For Small Dogs - Necks up to 14"
For Large Dogs - Necks up to 22"